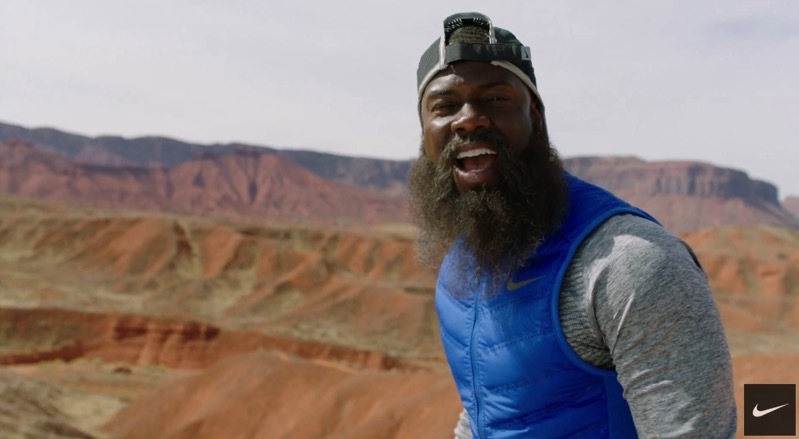 The Apple Watch Nike+ gets a new advertising campaign, in the form of seven short videos uploaded to Nike’s YouTube channel, featuring Kevin Hart. The premise is Hart is one of the first to receive an Apple Watch Nike+, but later is known as “The Man Who Kept Running” (he looks like Forrest Gump to me). When you answer yes to the question “Are We Running Today?” there’s no telling where your legs will take you. Wisdom is all around us; we just have to choose to listen to it. Track all of your runs, no matter how crazy those runs may be. With the audio prompts feature, the Apple Watch Nike+ lets you know exactly where you are, even if you have no clue. Everyone needs a little New Year’s motivation, even Kevin Hart. Sometimes you need someone to hold you to your New Year’s resolutions, whether that be a vulture in the desert or your Apple Watch Nike+. Kevin Hart uses the Apple Watch Nike+ to elude the desert heat and find the perfect temperature to schedule his runs. “It’s not a competition with others, it’s a competition with yourself.” Wise words from Kevin Hart. Put in some miles and Kevin Hart will hit you back with a fist bump. The short ads didn’t make me laugh a lot, but I’m thinking Hart made bank filming these.